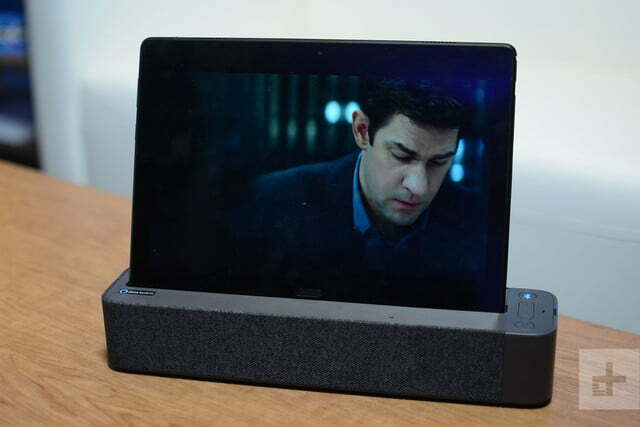 The Echo Show, but better. 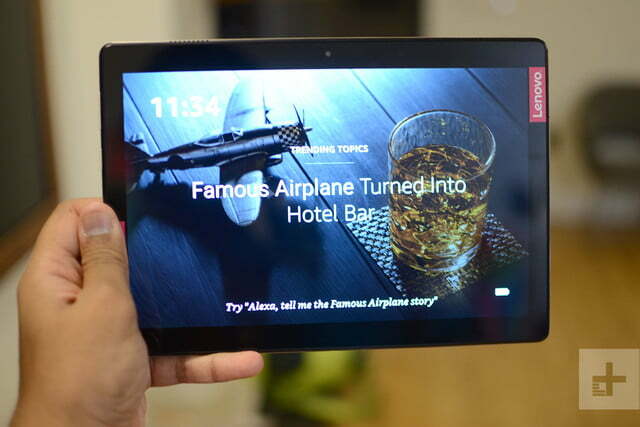 Lenovo’s Smart Tab adds more versatility to your home with its tablet and smart home functionalities. 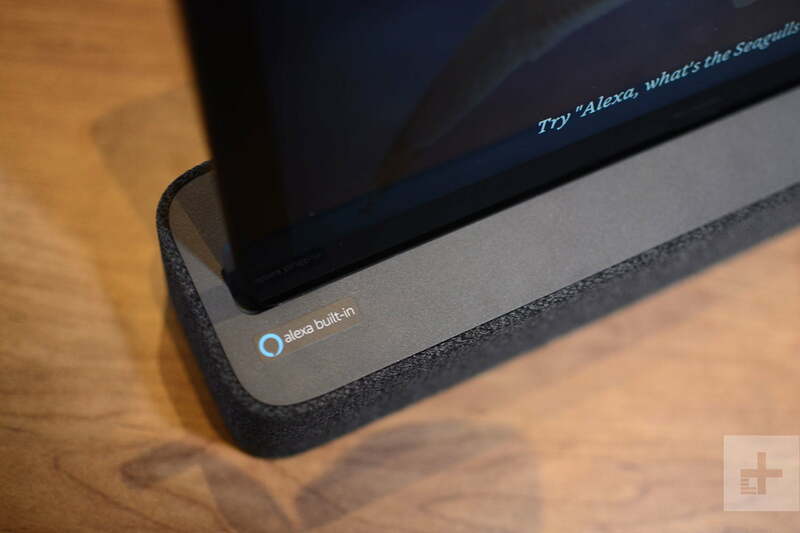 Amazon’s Echo Show gives Alexa a screen to visualize the assistant’s responses. But the display sits in one room much like a TV, which limits its overall capabilities. 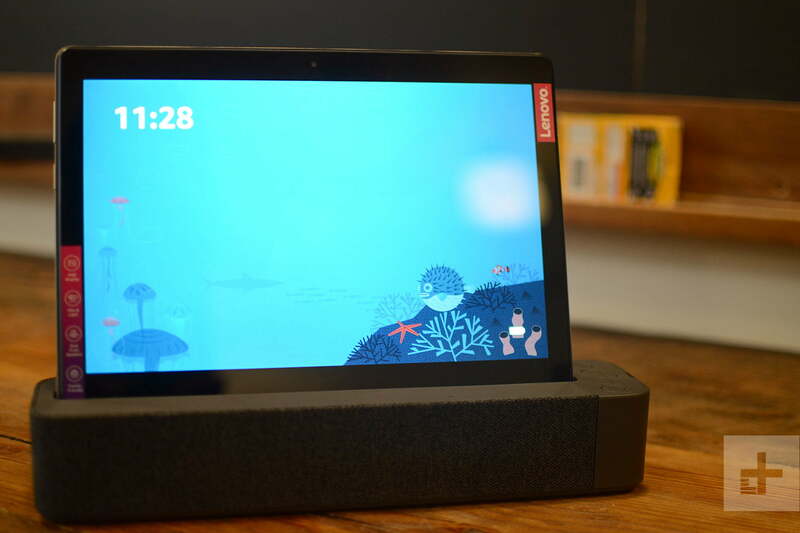 Lenovo has thought of a more versatile solution with the Smart Tab, an Android tablet that can be connected to a Smart Dock, which then turns into an Echo Show competitor, complete with full Alexa integration. Take the tablet off the dock, and you get a large-screen device you can take anywhere in the household for more media and entertainment consumption. 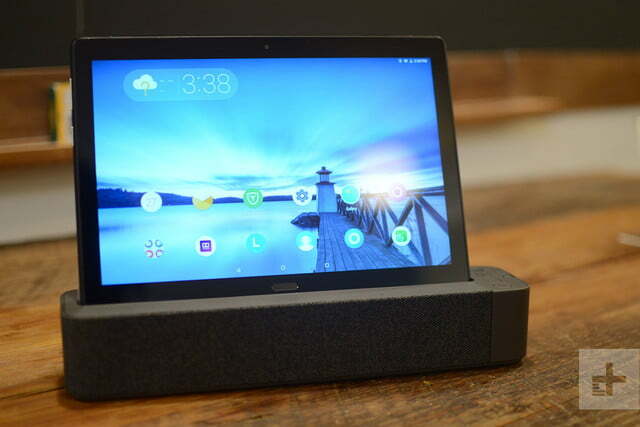 It’s a neat idea for people who want a tablet that can also double as an Alexa device. We’ve spent some time with the product at CES 2019 to see what it’s like. It’s important to know there are two different tablets available: The P10 and the M10. The former is pricier due to its glass back, and it delivers 4GB of RAM with up to 64GB of storage. The battery is much bigger at 7,000mAh, there are four front-facing Dolby Atmos speakers, more sensors — including a fingerprint reader — and cameras with more megapixels (5-megapixel selfie camera, and 8-megapixel rear). The M10 is cheaper, and it uses a soft-touch matte back. There’s only 2GB of RAM paired with 16GB of storage, or 3GB of RAM with 32GB of space. The battery size is 4,850mAh, there are only two front-facing Dolby speakers, no fingerprint sensor, and a 2-megapixel selfie camera paired with a 5-megapixel rear one. What does all of this mean? 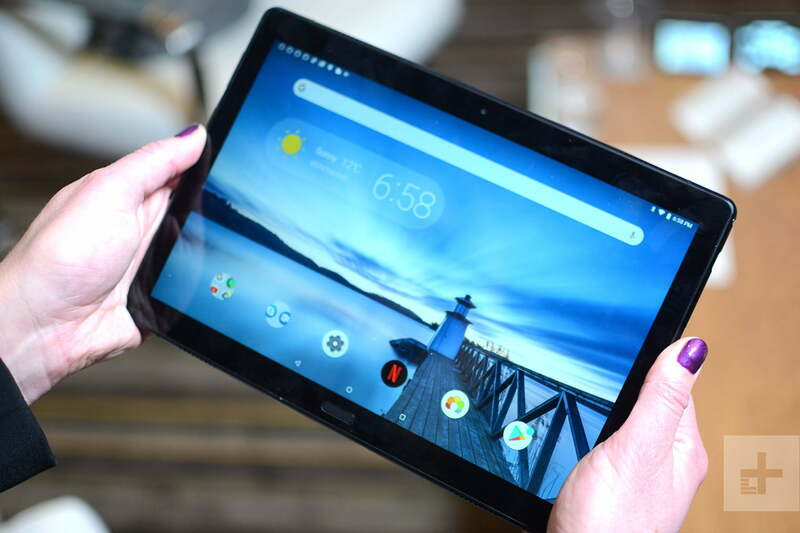 Of the two Android tablets, the P10, will deliver the better experience overall thanks to louder audio, smoother performance, more storage, and improved convenience with the fingerprint sensor. The P10 also easily feels like the more premium tablet of the two, the glass does make quite a difference, but it does make it less durable. Of the two Android tablets, the P10, will deliver the better experience overall. Both are relatively easy to hold in one hand, and the 10.1-inch LCD IPS screens share the same 1920 x 1200 resolution. The screens look colorful, sharp, and decently bright, though we’ll need to spend more time using the tablet to see how it stacks up. 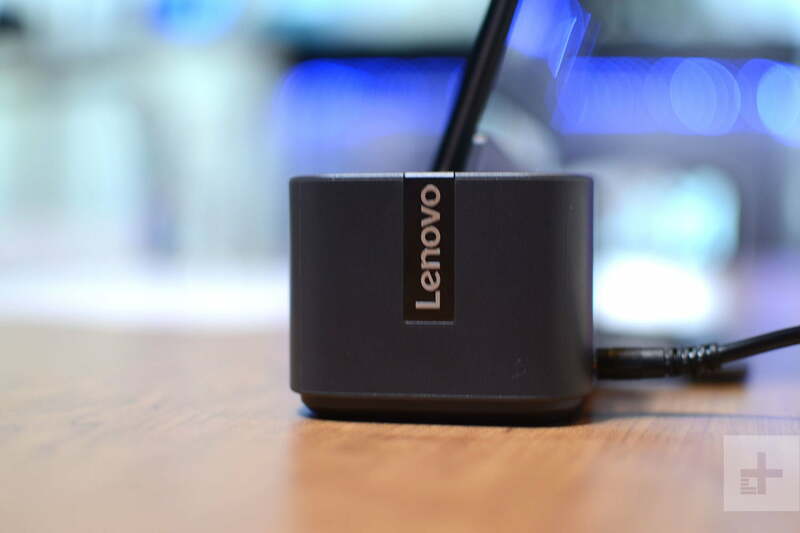 Both are still powered by the Qualcomm Snapdragon 450 processor, which is a budget chipset. Don’t expect to run the most intensive games from the Google Play Store on either of these tablets. Opening apps is noticeably slower on both these devices, though scrolling through the interface felt mostly smooth. We’ll be putting the tablets through their paces to see how much they can withstand, though they should have no trouble offering a solid experience for those who simply want to watch movies and TV, or read. Both these tablets run Android 8.0 Oreo, and Lenovo has only lightly tweaked the interface. There’s considerably less bloatware, and the tablet aspect is fairly easy to understand and use. 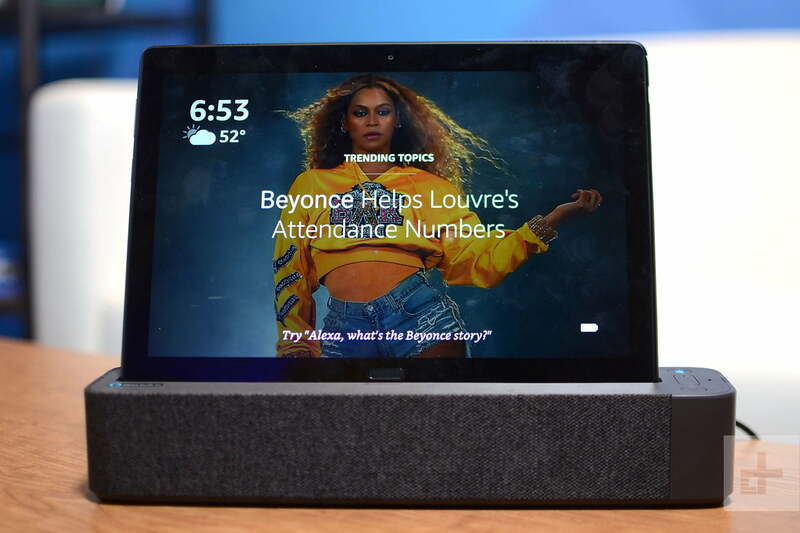 Alexa is built into the tablets alongside Google Assistant, though you’ll need to choose a default assistant to use the hotword to trigger them. The P10 and the M10 both fit into the Smart Dock quite easily, no wires required. 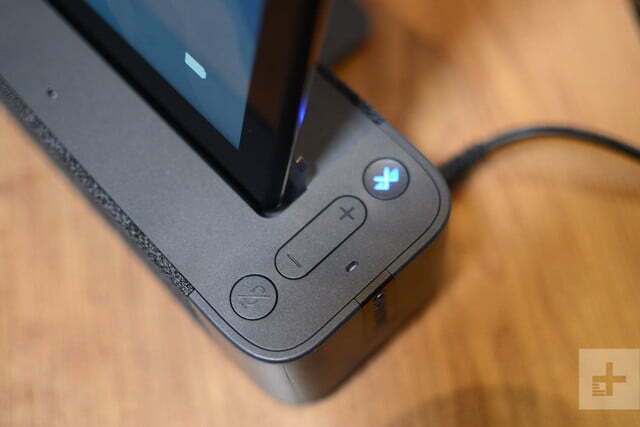 They’re able to charge here, but more importantly, the dock triggers Amazon’s “Show Mode” for Alexa, which offers up almost all the features you can find on the Echo Show. Here, it’s easier to access Alexa because there at more far-field microphone arrays to pick up voices across the room. 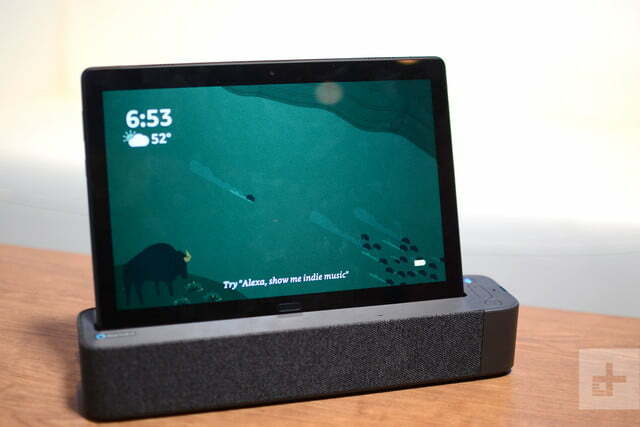 Alexa is built into the tablets alongside Google Assistant. Sadly, while Google Assistant is already enabled on Android devices, you won’t be able to use it with the Smart Tab, as Lenovo said the experience doesn’t work well. It’s tailored to work with the Amazon app. 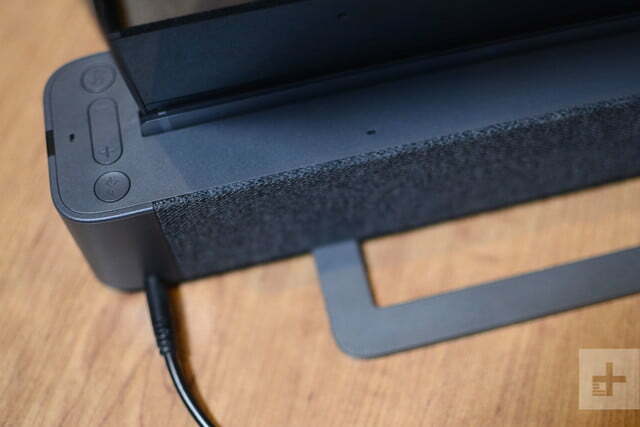 The Smart Dock is primarily a speaker that has a nice fabric material that will blend relatively well into most homes. There are physical volume controls and Bluetooth pairing options on the top. You can connect your phone to use the speaker as a Bluetooth music player, which adds more versatility to the Smart Tab system if someone else is using the tablet in the family. It’s a little long, which may require a little extra space on a table in your home. Music sounds loud, easily filling up a large room. The bass is a little lacking, but audio is rich and full-bodied. It will more than satisfy most people. 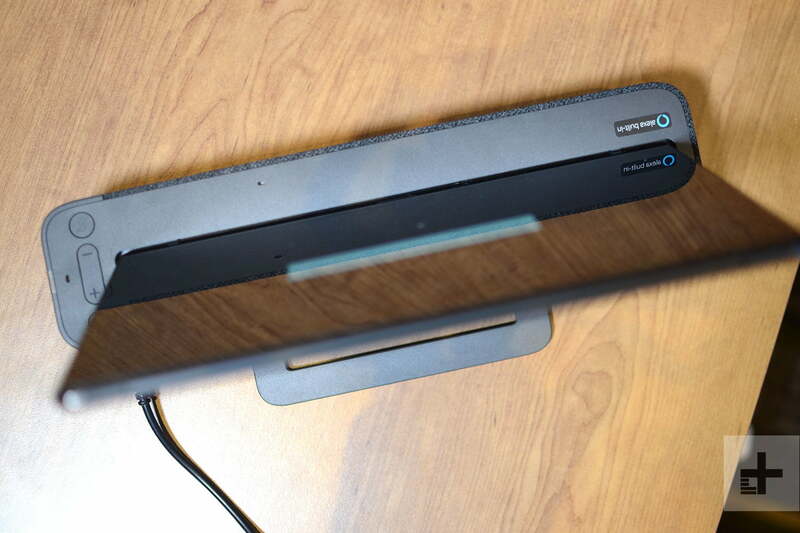 So what else can the Smart Dock do? 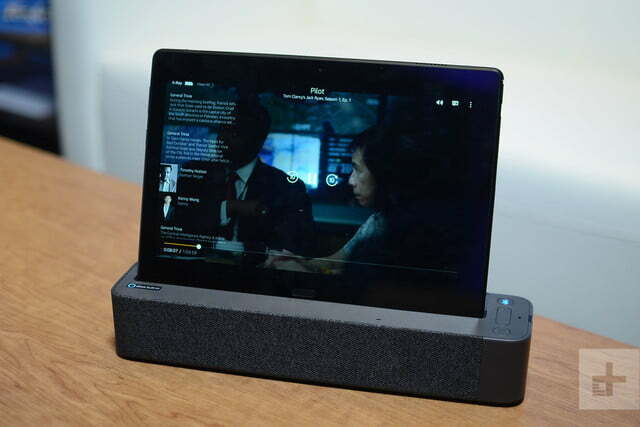 When the tablet is docked, you can ask it anything you can ask Alexa, from asking about the weather and following along cooking recipes to making Amazon purchases or streaming Amazon Prime Video content to a TV. 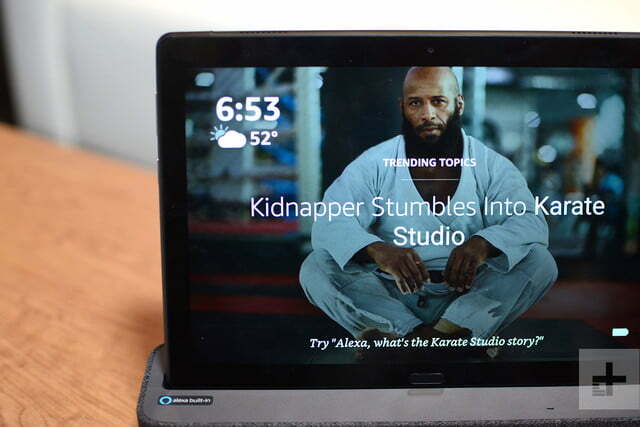 The screen is utilized when possible, further improving the results Alexa delivers. If you ask Alexa to play music, it will even offer up lyrics for you to sing along. The tablets do not need to be in the dock to use Show Mode — there’s a toggle in the notification bar, though you won’t have access to the far-field microphones to trigger Alexa at a distance. Amazon’s Echo Show costs $230, while Lenovo’s very own Smart Display starts at $200 for the 8-inch model, and goes up to $250 for the 10-inch one. We expect you should buy the Smart Tab with the P10, as the included RAM and storage are likely to be far more beneficial. But the versatility of the whole package alone makes the $300 price tag sound like a good deal. 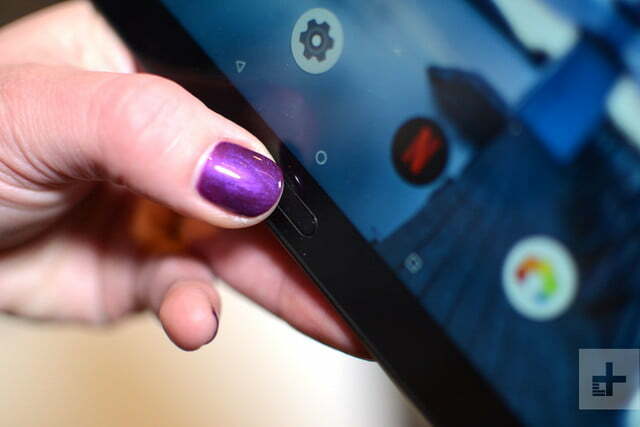 The question is how well the tablet performs day-to-day tasks, and we’ll be spending more time with it to find out.